This rattle was woven from reeds using a technique that is at least several hundred years old. Before the rattle was completed, two small metal loops were inserted inside to act as clappers. Most people will immediately recognise this object and its connection with children. If the rattle was buried, however, over the years the wicker would decompose and only the metal clappers would survive. 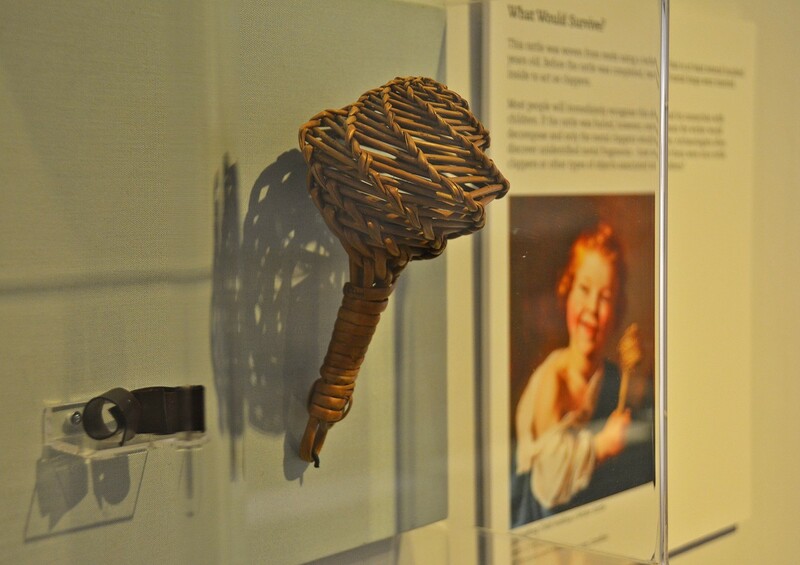 Archaeologists often discover unidentified metal fragments – how many of them were once rattle clappers or other types of objects associated with children? Rattle with metal clappers, woven from reeds.